THE OIREACHTAS COMMITTEE on Health and Children will hear proposals on how to tackle childhood obesity through sport from two of the country’s “most successful and celebrated athletes” today. Senator Eamonn Coghlan and chief executive of the Irish Sports Council John Treacy will address the committee following worrying findings in the recently published report Growing up in Ireland - which revealed that rates of obesity in Irish children was higher than in many other northern European countries. 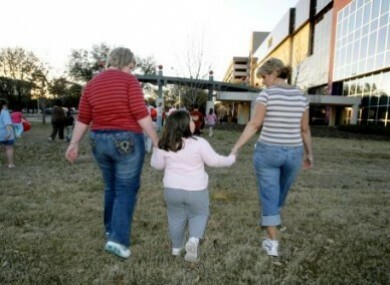 The report found that one in four three-year-olds in Ireland today is overweight, with about one in every 17 being classed as obese. The report also highlighted that by the age of 19, some 19 per cent of Irish children are overweight and 26 per cent of Irish children were outside the healthy range for their weight. Committee Chairman, Jerry Buttimer TD, said that Coghlan and Treacy were among Ireland’s most celebrated athletes and, as such, both continue to have a huge interest in athletics and promoting healthy lifestyles. Email “Health Committee to discuss ways of tackling childhood obesity through sport”. Feedback on “Health Committee to discuss ways of tackling childhood obesity through sport”.